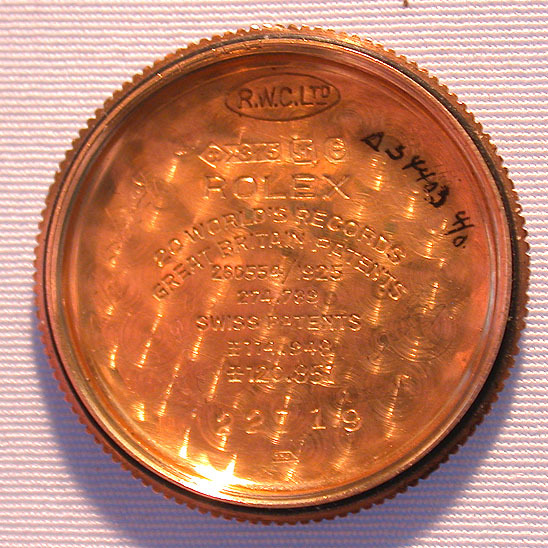 Rolex 9K pink gold midsize cushion shape vintage wrist watch circa 1924. 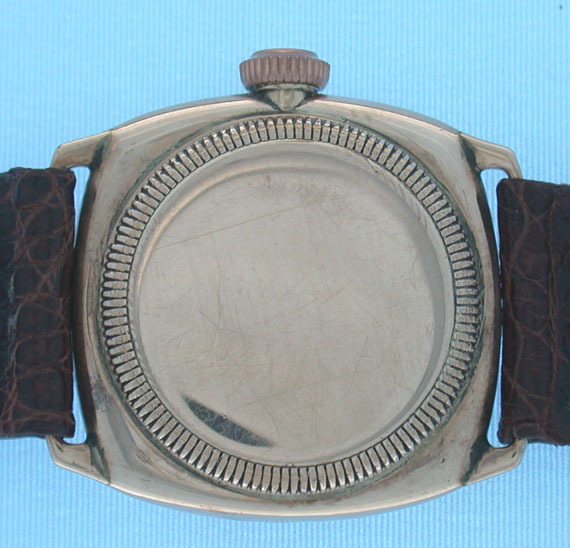 Original silver dial with original blued steel hands. 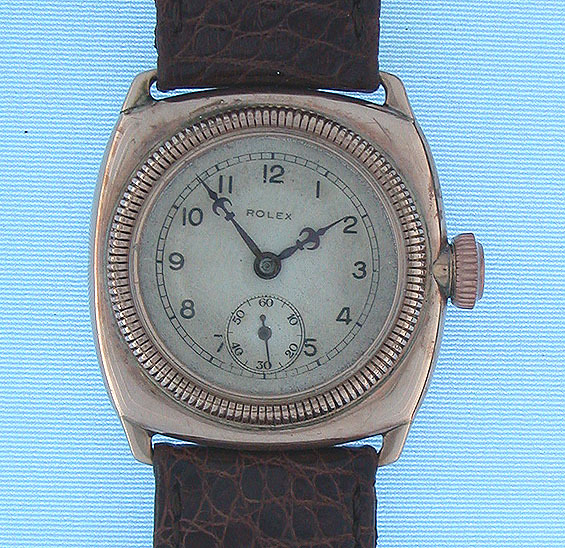 Adjusted 15 jewel movement.